Staying productive and focused when running a small business or microbusiness is difficult. Whether you’re an entrepreneur, solopreneur, small business owner or freelancer, the challenges are the same. It’s imperative to stay on top of your game and laser focused on your goals to attain the success you set out to achieve. As you know, these days it’s important to understand new technologies and new media in order to get ahead and stay ahead of the competition. And now, more than ever before, mobile technologies have changed the ways we get things done every day. This week, we’ve compiled a list of five technologies and systems that you must have in your repertoire in order to achieve success in our modern world of small business. Enjoy! A CRM application is a great tool for simplifying the management of your small business contacts. It integrates a variety of different information about your leads, prospects and customers all into one place. An ideal CRM also includes project and task management, allowing you to assign sales and marketing tasks that impact your sales revenue. Typically, a cloud-based CRM will cost anywhere from US $12 monthly/person to US $125 monthly/person, not including professional services and ongoing support. LightArrow apps include many customer relationship management features that web-based CRM systems have, without the monthly subscription fees. Our apps organize a variety of customers’ data that originated from multiple places into one mobile app. 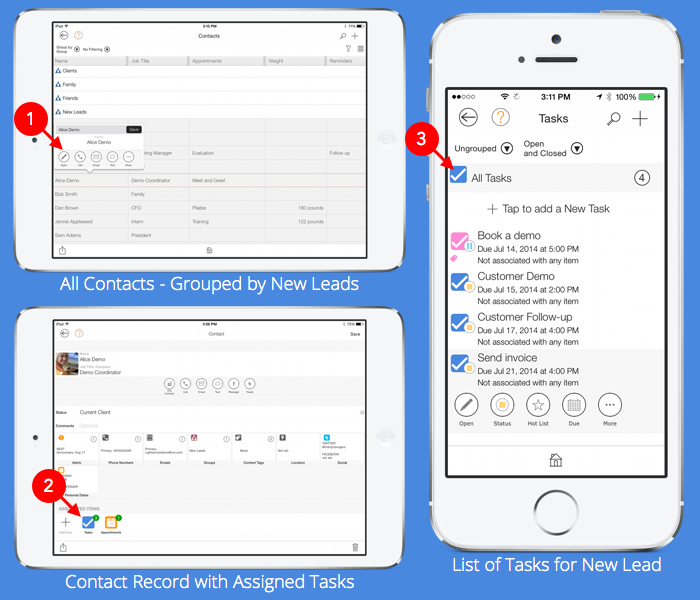 For example, our apps allow you to organize leads, track, and manage leads. You can also interact with contacts through email or social media handles, directly from their contact record in your LightArrow App. 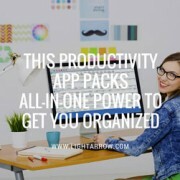 In addition, LightArrow apps include powerful project and task management features, which allow you to assign tasks to yourself or others to nurture prospects and move them down the sales funnel. In the following diagram you see LifeTopix’s spreadsheet-like view for managing contacts. Within this view, you can access and manage all the information about your leads, prospects or clients. Specifically, you can manage all the tasks that are required to advance to a successful sale. Once the lead becomes a customer, you can manage and organize any information for this client through the 12 life topics, included with the LifeTopix app; of course, keeping track of customer details is vital for customer retention. Accurately managing the assets that your company owns and leases is key for the success of your small business. 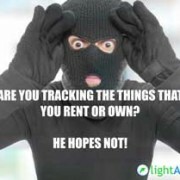 It’s important to track IT assets, furniture, vehicles and other items. Asset Management software can come in many shapes and forms. 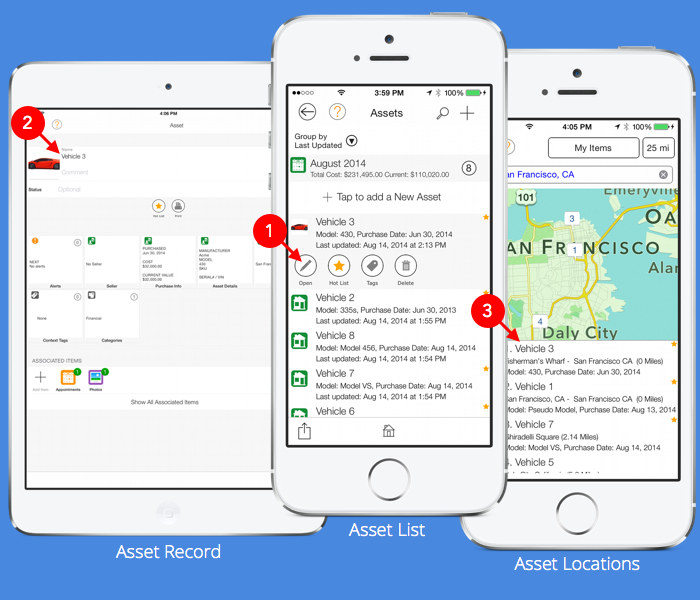 You can choose simple mobile asset management or an expensive enterprise asset management system. It’s also important to manage your financial assets and finances. There are several options for managing finances from simple software to more complex accounting software. Some of the features that financial software solutions offer are expense and payment tracking, receipt scanning, invoicing, etc. Foremost, remember to use the software solutions that fit the needs of your small business. If you’re a business owner who’s often on the go, LightArrow apps also offer solutions for managing finances while mobile. LightArrow mobile apps include tracking of financial information including expenses, payments, accounts, banking information, service payment templates, charitable donations, financial asset management and financial notes. 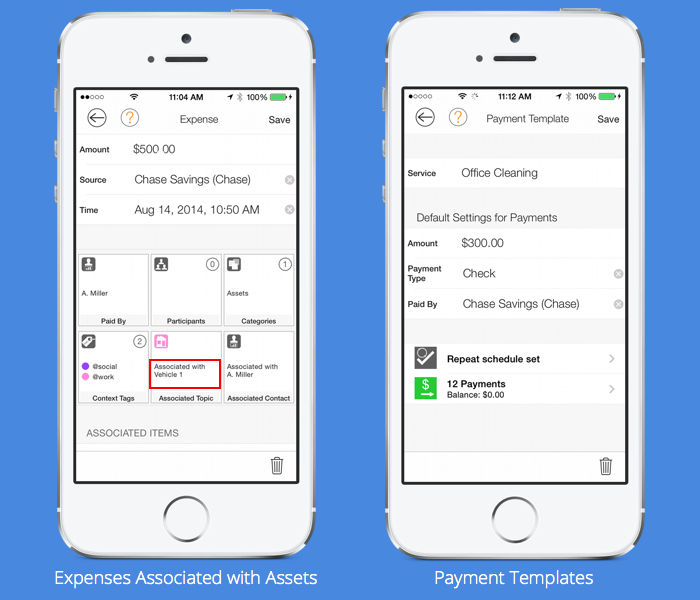 With LightArrow apps, you can associate financial information with other items you manage in your app, such as assets. For example, in the graphic below, you will see that an expense is associated with an asset, which is a vehicle. Another popular feature for small business owners is the ability to set up Payment Templates with recurring payments; an example is also shown below. In today’s changing world, social media is vital for small business success. In fact, according to a study conducted by LinkedIn, 3 in 5 SMBs have acquired new customers via social media. There are a variety of ways to manage and monitor social media. You can use the free tools from the social media sites, such as Twitter, Facebook and LinkedIn all the way to using a full-fledged social media management tool. Social media management tools provide features such as keyword monitoring and listening, all-in-one views of social media accounts, scheduling, ways to engage with others, and in some cases, further analysis and recommendations. If you want all of this functionality and more from a hosted social media management system, it will cost you a monthly subscription fee that is typically charged by the number of users. Social media is a commitment that will reap rewards over time. Before jumping into using an expensive social media management tool, I recommend that small businesses use free and inexpensive apps and web applications to manage their social media profiles and engagement. 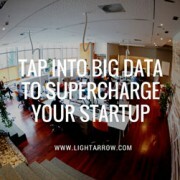 At LightArrow, our apps include a social media dashboard and listening via keywords through Feed Accounts. You can set up feed accounts for Facebook and Twitter; and also for Email and Evernote®. You can listen for product or company mentions, and you can stay on top of your industry by creating streams with the keywords in which you’re interested. 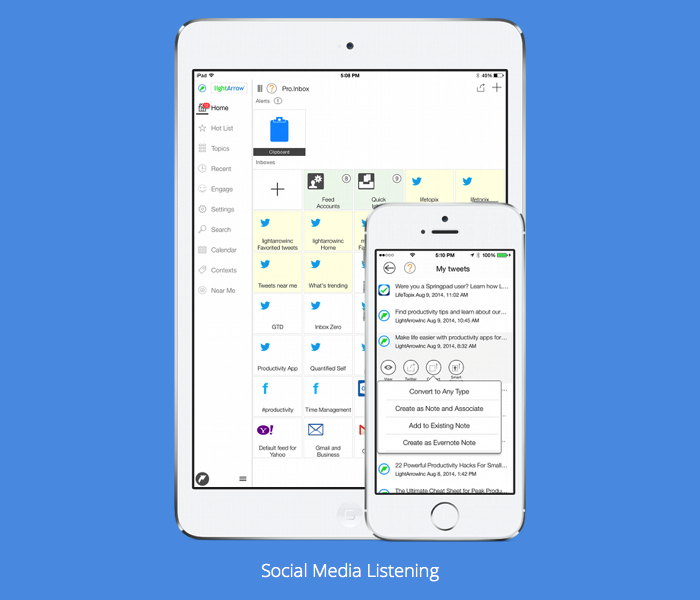 Our Pro.Inbox app, shown above, has this keyword listening functionality built in. 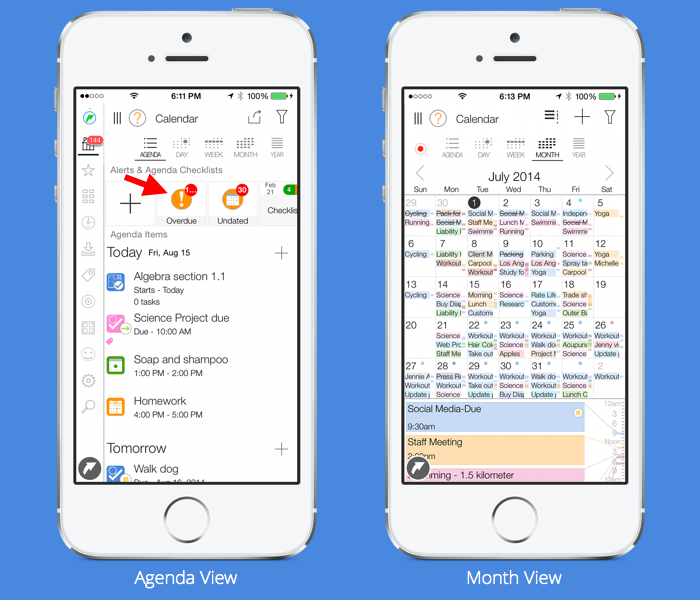 With My.Agenda, LifeTopix and Pro.Calendar, you can purchase this option via in-app purchase. 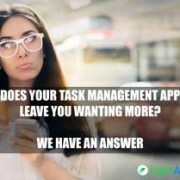 What makes our apps unique over the typical Social Media Management tool is you can convert the tweets and posts that you find into actionable items such as tasks, notes, events, appointments and more. For example, you might see an industry article that you believe is important to read in a Twitter feed. You can convert this item to a note and add a date tag to schedule it on your calendar. These items can be pushed to your iOS calendar, which in turn propagates to all the calendars that you’ve associated with your iOS calendar, which takes small business productivity to a new level. It’s important to note that this feature also applies to email and Evernote feeds, which allows you to accomplish “Inbox Zero” easily. 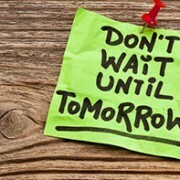 Keeping a master schedule is important for your small business. It’s difficult to choose the right calendar app for your business schedule because there are so many choices available. All of these calendars and to-do list apps have their own unique bells and whistles. The apps you choose depend on your personal preference and business needs. At LightArrow, we focus on productivity. That’s why we combined tasks, reminders, to-dos and eight calendar styles into one app view – with fast switching and beautiful styling. We’ve made our calendar views easy to read and they’re very simple to set up. As soon as you grant access to your iOS calendars that you use on your iPhone or iPad, your LightArrow app shows the events from those calendars. 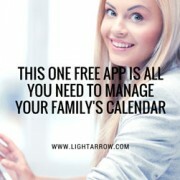 And as a bonus, your LightArrow calendar also includes your iOS reminders. In the graphic above, you will notice Overdue, Undated and Checklist sections shown in the Agenda view. These sections include everything from overdue tasks, undated tasks; open shopping items; iOS reminders; and checklists/to-do lists. Combining these items prevents you from hopping from app to app. You will also notice the comprehensive Month view, which enables you to see all your calendar items easily. Managing your projects without the right tools is like fixing a clogged drain with a Q-tip. The more and more you push; you’re never going to get anywhere. There are a lot of options for managing projects and tasks. Some cloud applications are free for a limited number of users and others require subscription fees. 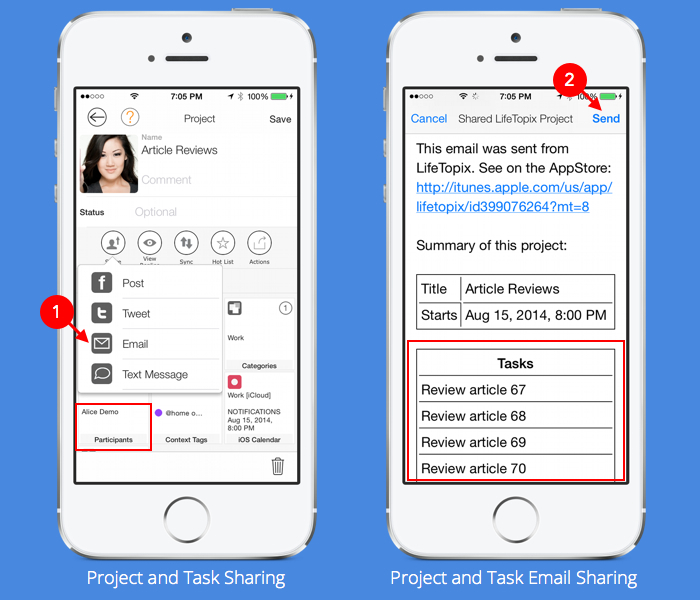 In addition, if you use Asana for project management (which is free for up to 15 users), LightArrow Apps include task integration with this popular tool. Please let us know in the comments how you’re using your LightArrow app in your small business or if you have any questions or comments. Recently came across this app. It look really interesting. Still on my Christmas list is the imac, so Iile the fact that you are working on a mac version of this app. Also I would love to be able to integrae this from an small biz/sales and crm point of view with moxtra.com for mobile collaboration and webinars, xero.com for accounting, and zapier.com for integrating all of these. We are currently incorporating feedback received from Beta round 2 of our LightArrow Organizer for Mac and plan to have the GA (General Availability) version ready next month (July 2015). We currently support the following integrations: Gmail, Yahoo email, Outlook.com, iCloud email, MSExchange (with basic Authentication), Google tasks, Asana projects & tasks, Toodledo tasks & notes, Evernote notes, Dropbox, Box, Google Drive and Microsoft OneDrive. We are constantly looking at improving the app, especially in the integrations area. We appreciate your input. We will consider these integrations and incorporate them in to our product as they fit in to our vision. Should you have further questions/comments, do not hesitate to contact support @ lightarrow.com.